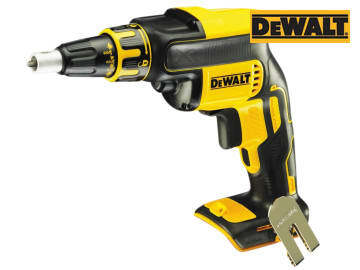 The DEWALT DCF620N Drywall Screwdriver has a powerful brushless motor that drives screws efficiently and effectively, offering maximum run time and a compact tool. It has a lightweight compact design that allows you to work comfortably in small spaces. The Set and Forget feature remembers your fine depth adjustment setting when removing and replacing the nose cone and there is a trigger lock that lets you work without having to pull the trigger. It is fitted with an ergonomically designed rubber grip that gives excellent user comfort whilst using the tool in either the in-line or pistol-grip hand position. Other features include an LED work light and an angled belt hook which can be positioned for left or right handed users that fixes the tool strongly onto your tool belt/pouch. DCF620P2K: 2 x 18 Volt 5.0Ah Li-Ion Batteries. DCF620N: Bare Unit, No Battery Or Charger Supplied. 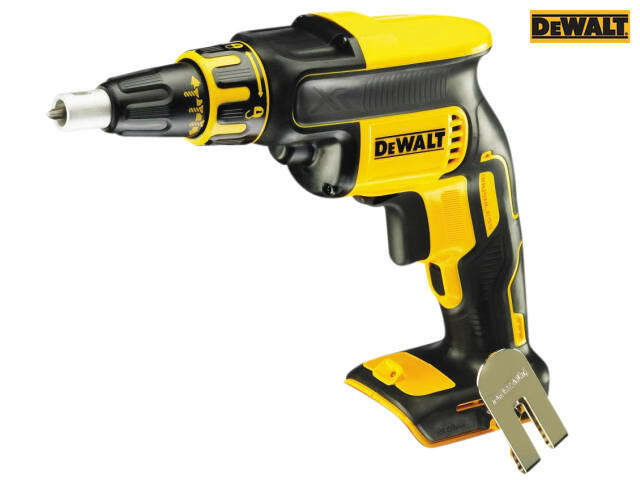 The DEWALT DCF620N Brushless Drywall Screwdriver is supplied as a Bare Unit, No Battery Or Charger Supplied.